Cutting your own family Christmas tree is a Bozeman family tradition for many of people; however, there are a few families that have heard of this, but don’t know how to go about doing it. Well trust the Maid to Clean MT family, it is incredibly simple and a whole lot of fun! 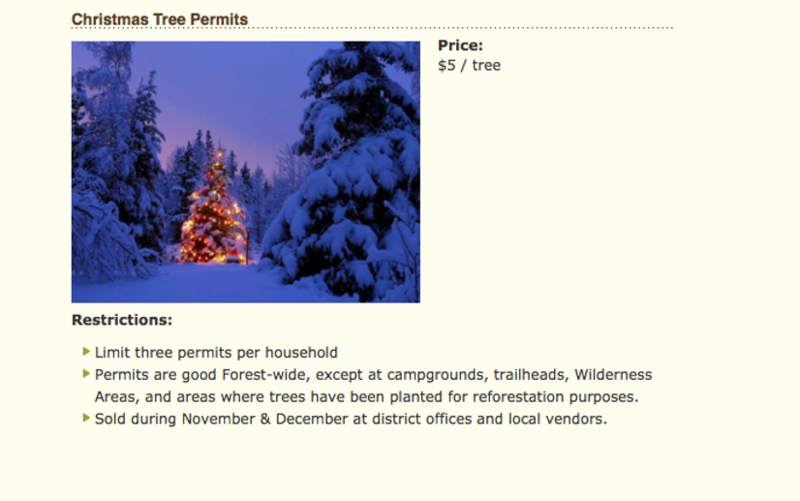 The official rules are outlined on the Forest Service’s webpage (click the image below to go to their page, but be sure to scroll to the bottom to get to part about Christmas Tree Permits). but here’s the idea. You go to Murdoch’s in Four Corners and ask the checker for a Christmas Tree permit. Then you pay $5 per tree, up to three trees. The checker will then have you sign a sheet that notes your permit numbers and that you’ve paid, and then you’ll get an orange sticker for each tree you buy. Then you can drive onto the public forest from any of many public access spots around town. Hyalite and Little Bear Cabin road are two very popular spots close to Bozeman . If you’re NOT in a campground, at a trailhead, in a Wilderness Area, close to a stream, or at a spot that has been designated for a timber sale or reforestation planting, your free to find that perfect tree. Here’s a hint, there’s no perfect tree, and that’s the beauty of it. You get to walk around in the woods talking to your family about the which tree will work the best, is a tall and skinny lodgepole or a big bushy spruce. Your kids get some fresh air and a short lesson tree species and natural resources, and you and your husband or wife can dream about “one day” when you’ve got a house big enough for that 15 foot spruce over there. – Take a sled for the little ones to ride in. – Bring some snacks and hot chocolate. – Take lots of pictures. – Don’t forget a saw. – Put the permit on the tree after cutting it.